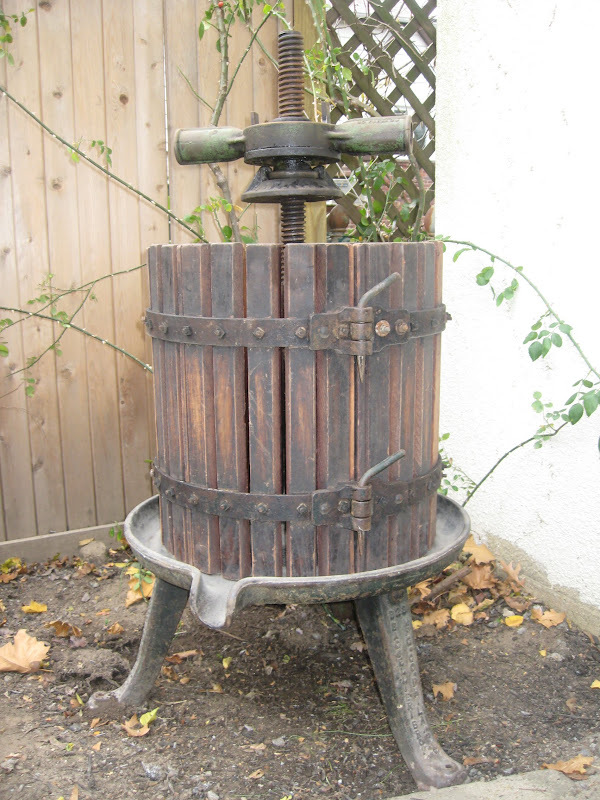 Baccellieri Bros. & Co wine press, now firmly situated in our backyard garden as a symbol of our heritage. With the passing of my grandparents, my father and his uncles have moved to sell the first Scordo home here in the United States (purchased in the late 1960’s and just a few years after my parents and grandparents arrived in the United States). The house is full of memories and Italian American traditions, as I spent the first five years of my life living in our grandparents two family home. In typical Italian American fashion, my parents rented the second floor apartment from my grandparents until they were able to afford their own home. Some of my earliest, and basic, memories were formed in nonno and nonna’s New Jersey home, including the smell of yeast and rising dough, the scent of tomato plants in late summer, raking leaves and shoveling snow (or at least pretending to! 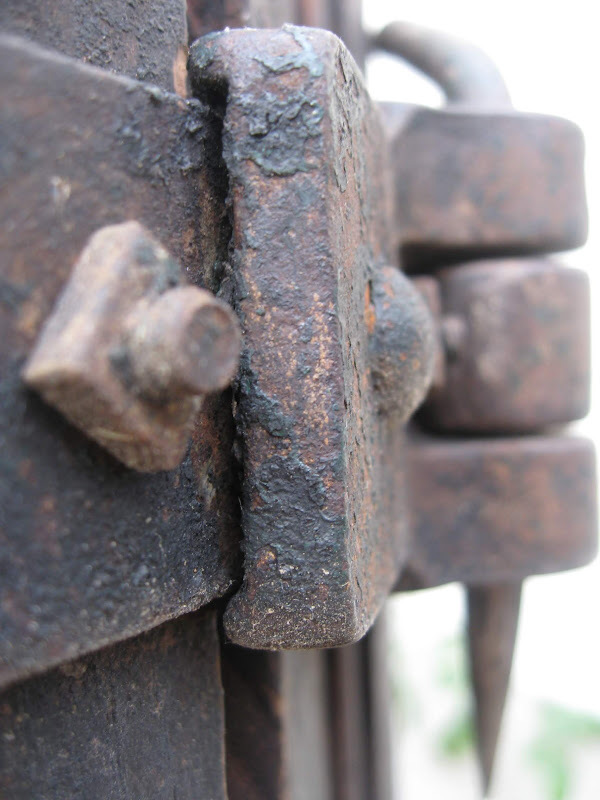 ), and playing with objects in the garage and tool shed. 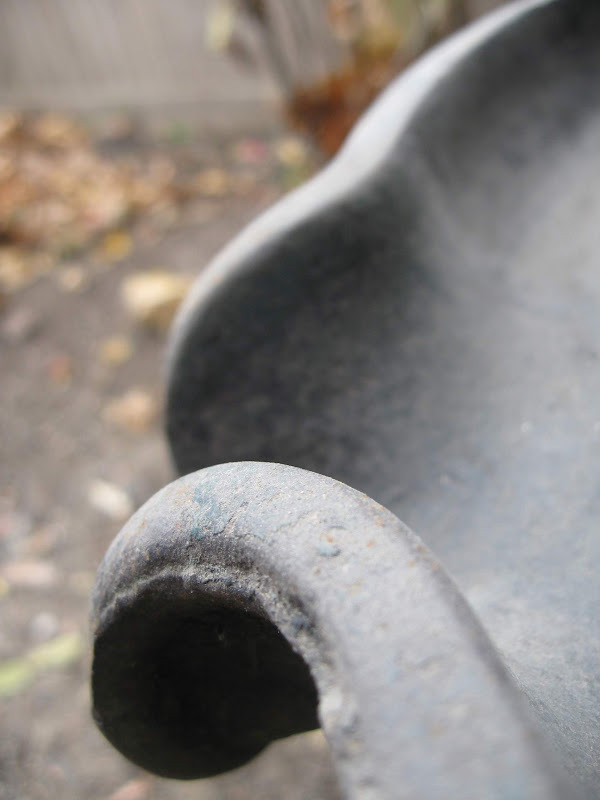 One particular object I was fascinated with as a young kid was the family wine press. 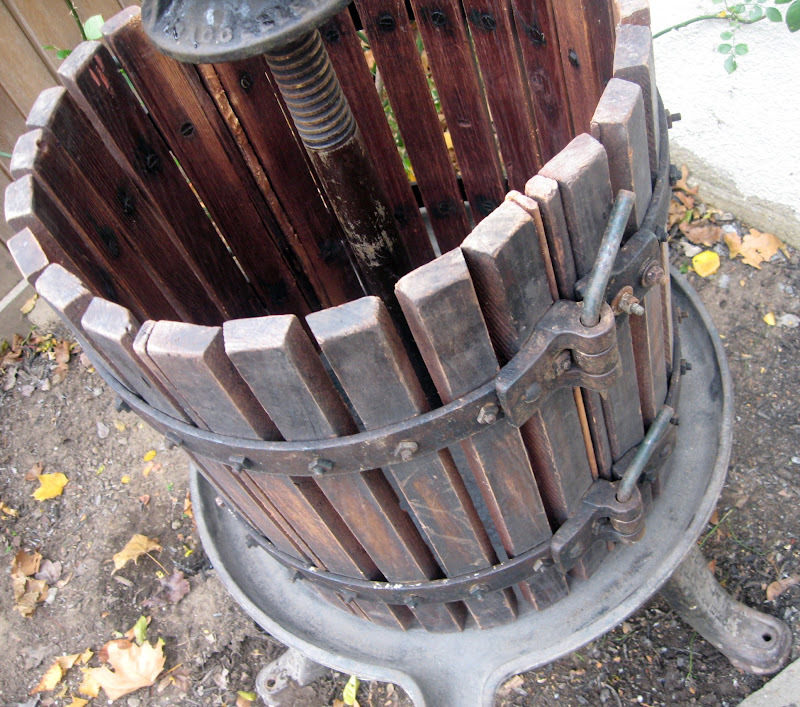 The large wine basket press was the epitome of mechanical coolness for me and I spent hours ratcheting and un-ratcheting the press mechanism, pretending to be a wine maker like my grandfather. 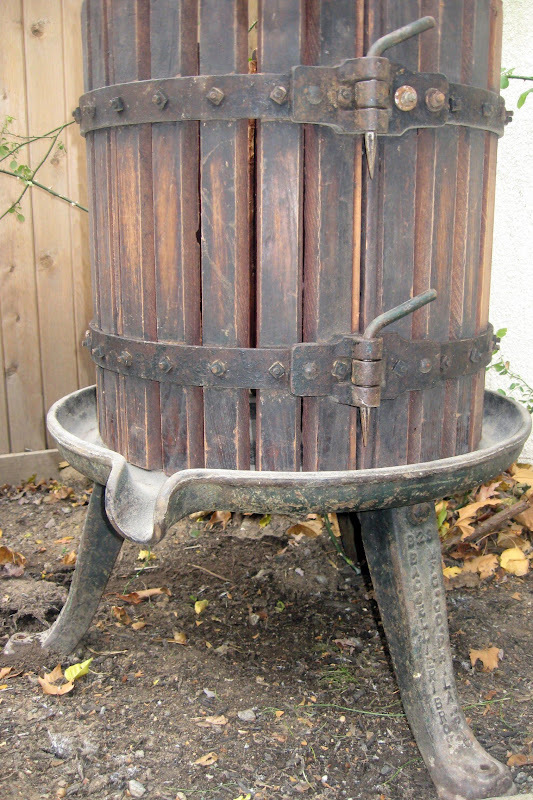 For those of you unfamiliar with the wine making process, A wine press is used to extract juice from crushed grapes. A press exerts controlled pressure to free juice from the grape. 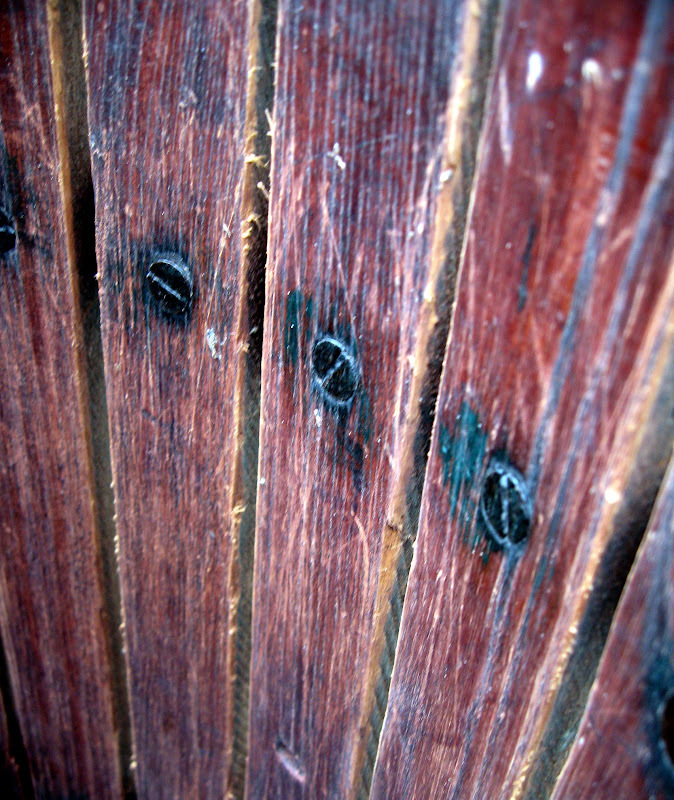 Controlled pressure is critical for the wine making process as crushed grape seeds can lead to the release of too much tannins. It was with great joy, then, that my father recently brought over my grandfather’s basket press for me to keep at our home. The press has been in retirement mode for the last 20 years or so and I’ll use the device mostly as a decorative piece in my garden. I’ll also use the press as a personal reminder to keep our Italian traditions alive and well; especially for the second and third generation Italian Americans. I encourage you to do the same with your family and children so that the Italian way of living here in the United States is preserved! 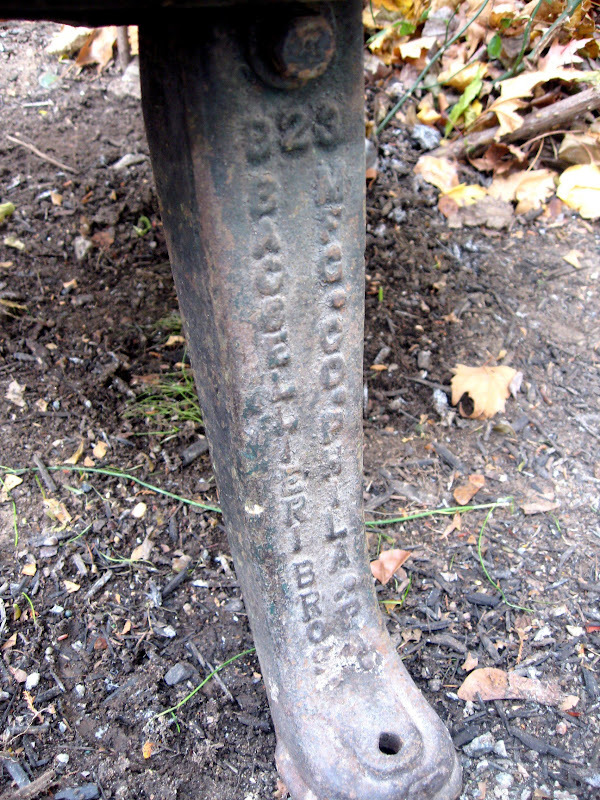 The press was made by Baccellieri Bros. & Co. in Philadelphia, PA. I remember seeing and smelling one of these in my grandpa’s basement. He also had a number of barrels. What is funny is my mom says his wine was awful but she is not Italian & doesn’t realize homemade wine has a taste all it’s own. Thanks for sharing your memory today. No problem, Michelle! Homemade can be great and very bad!